I am not here to downplay the classic minifig’s ability to convey emotion, but it is a fact that its range of movement is much more limited than that of a Technic figure. Heikki Mattila uses this posability to great effect in his large scale vignette called “Thinking at night”. 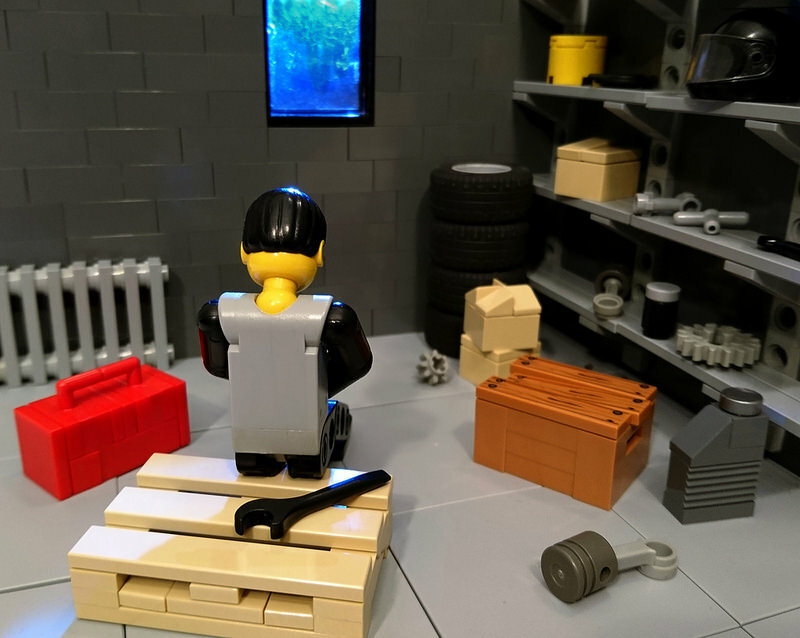 The technic figure is set in a convincingly contemplating and perfectly peaceful pose, while the setting is full of nice details like tyres, boxes and more. The backlit window makes for a convincing nighttime effect as well. I could not imagine a better happy place for a Technic figure than a workshop or garage.